The Arkansas Freedom of Information Act (FOIA) requires public agencies to preserve and maintain public records.Violation of the Arkansas Open Meetings Law is considered a class c misdemeanor. Government entities generally have up to three business days to provide a record requested under the FOIA. “Public records” means writings, recorded sounds, films, tapes, or data compilations in any form, required by law to be kept or otherwise kept, and which constitute a record of the performance or lack of performance of official functions which are or should be carried out by a public official or employee, a governmental agency, or any other agency wholly or partially supported by public funds or expanding public funds. All records maintained in public offices or by public employees within the scope of their employment shall be presumed to be public records. Since social media counts as a form of data compilations, social media records are considered public records in Arkansas. 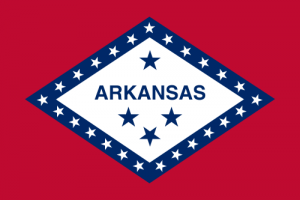 What is my agency required to do in line with Arkansas regulations? Given the open and transparent nature of governance in the State of Arkansas, there is an onus on each state agency, board, and commission to fulfill a number of duties in line with the FOIA, including preparing and making available a list and general description of its records, including computer databases. All materials made available by a state agency, board, or commission pursuant to subsection (a) section 25-19-108(5) and created after July 1, 2003, shall be made publicly accessible, without charge, in electronic form via the Internet.